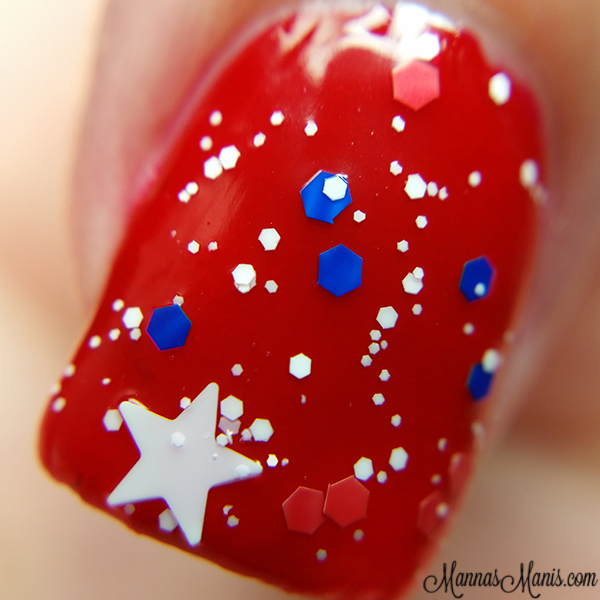 Independence Day is my favorite holiday and also my favorite time to do nail art. 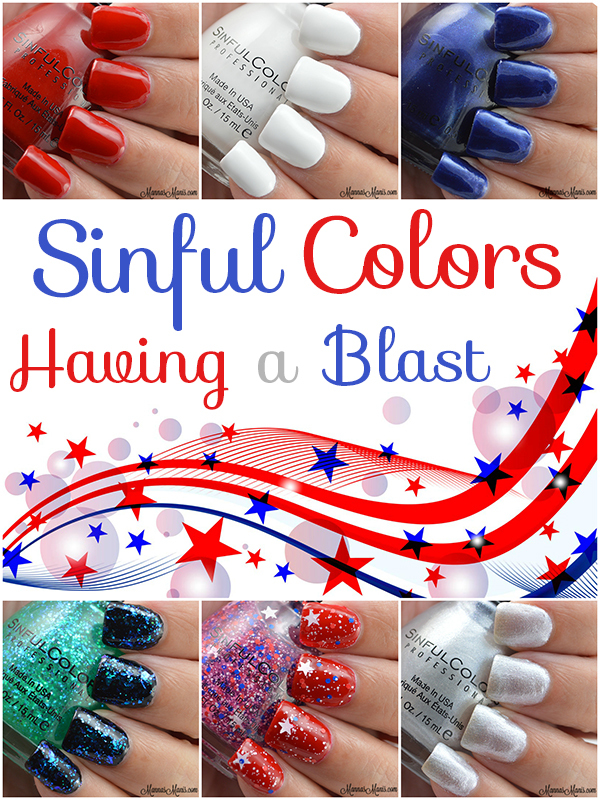 SinfulColors has released (and re-released) some shades for this July 4th! 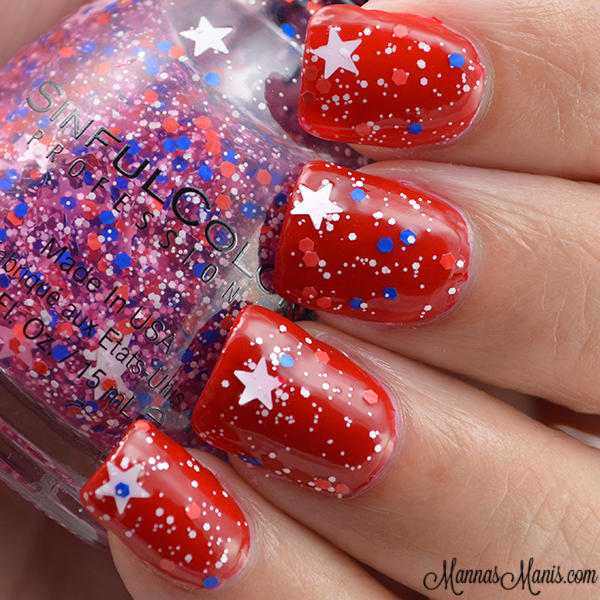 From SinfulColors: "This 4th of July, it's all about fun, fireworks and fierce polish. 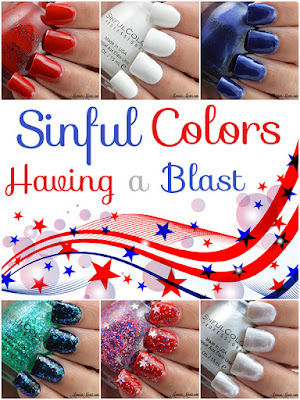 The seven dynamic hues in the SinfulColors Having A Blast collection gets you in the American spirit while looking fresh and festive whether painted on toes or tips. Saturated red, white and blue lend a classic touch, while a glitter shade adds a zesty spark to any mani or pedi. It's the perfect way to kick off your summer festivities." *Notes: All swatches are topped with Out the Door. 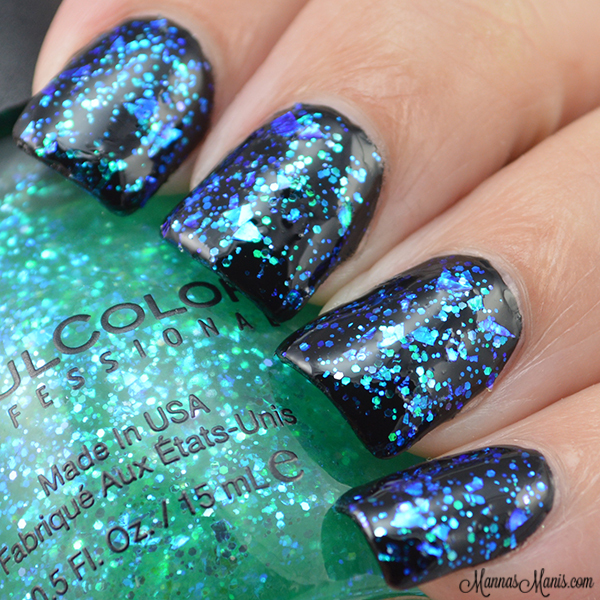 Hot Spot is a shimmering cobalt blue. Formula for this is on the thin side so be careful as to not flood your cuticles because it's also a stainer! 2 coats. Out of This World is described as "the perfect silver with swirls of glimmer." It has a matte like finish, so if you don't like that, be sure to top coat. No issues. 2 coats. Snow Me White is your traditional white creme. First coat is a little patchy, levels well after 2 coats. Perfect for nail art and undies! 2 coats. Ruby Ruby is a classic deep red creme. Probably my favorite red in my collection. Levels well after 2 coats, a little thin so minor cuticle flooding and it stains really bad! But as you can see, it created a pinkish tinge because of the glitter bleeding. I've seen pics of bottles that people got in store, and the glitters haven't bled, so I don't think there's an issue, just an issue with the bottles sent to bloggers. Glitter fishing is required to get the stars, otherwise easy application. 1 coat over Ruby Ruby. Green Ocean, does it really need a description ;) Gorgeous, gorgeous, gorgeous..that's really all there is to say! 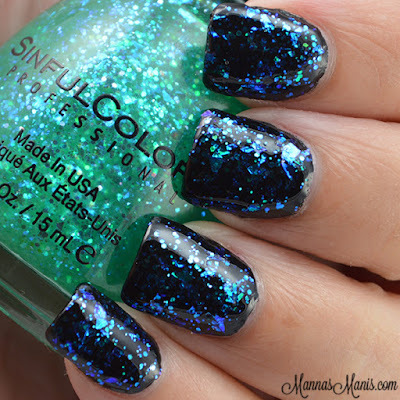 1 coat over SinfulColors Black on Black. $1.99 each at Walgreens and other mass retailers July 2015. Will you be picking up Star Blast Off?